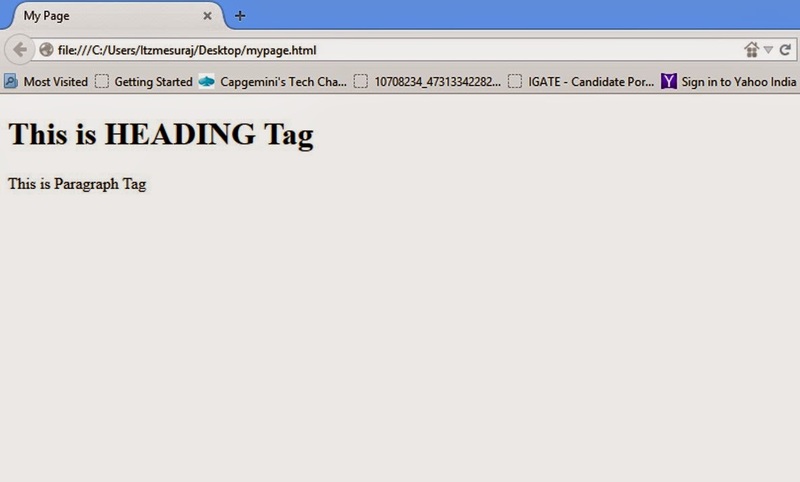 Start your HTML learning by just following these simple Steps. Open NOTEPAD and Write some HTML code. We Will see it in next step. 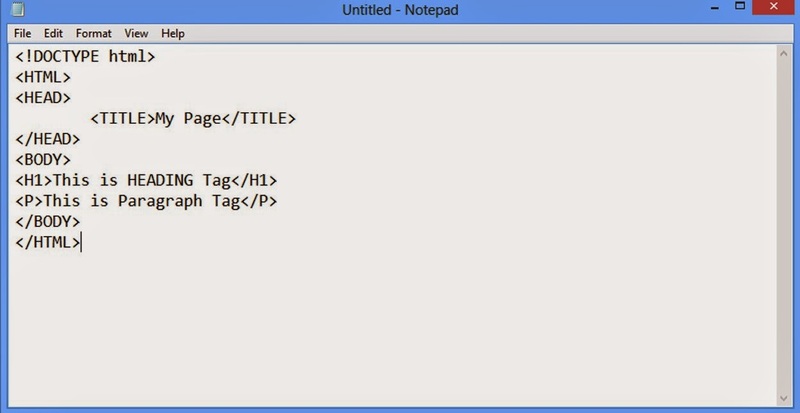 Write down a simple HTML code as Shown below in Notepad. Save the Notepad file as .html extension. Output will be like this.